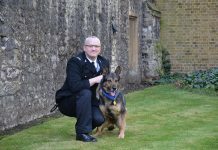 It’s fair to say walking your dog in winter is often not as fun as walking your dog in spring or summer. Driving rain, cold temperatures and long, dark nights are not the best ingredients for a lovely long stroll in the countryside. But, thankfully with the clocks going forward on 31st March, spring is almost here. 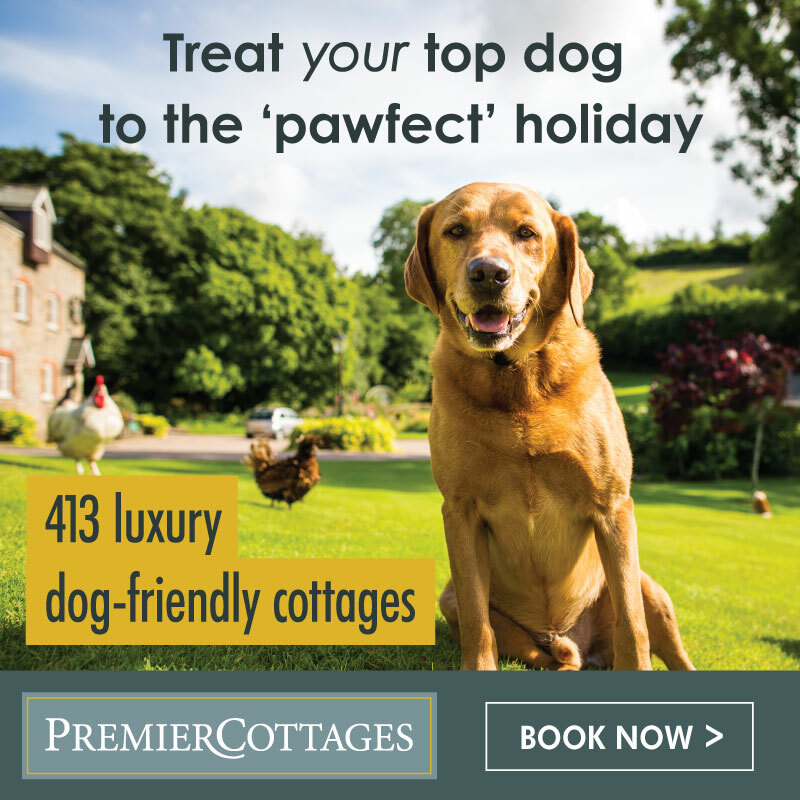 So, to celebrate the arrival of warmer days and longer nights, one of the largest pet and house sitting platforms based in the UK, TrustedHousesitters has revealed Britain’s most popular locations for a dog walk. 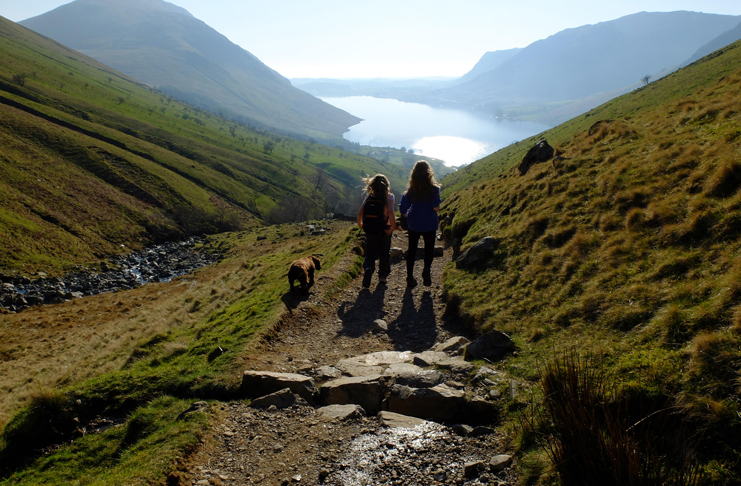 In at number one is The Lake District. England’s largest national park is famous for a vast array of impressive lakes, mountains and forests – it was originally established as a national park in 1951 and in 2017 was designated a UNESCO World Heritage Site. 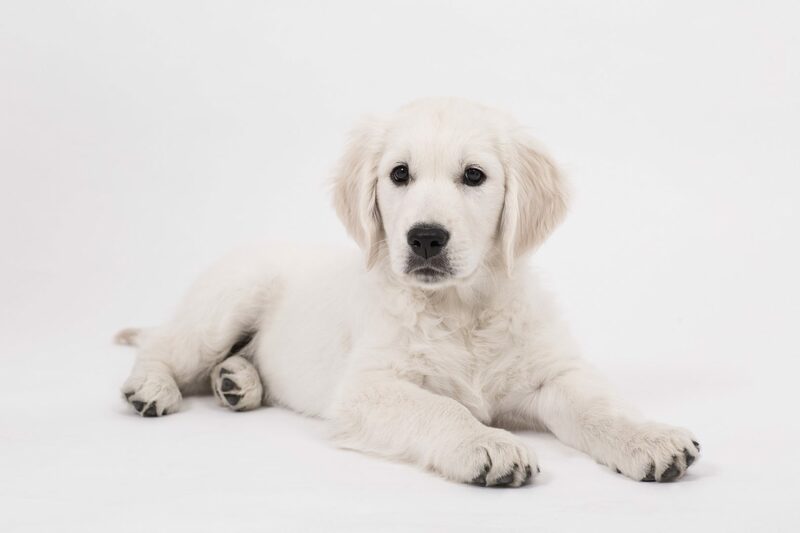 It contains England’s highest mountain – Scafell Pike, the largest natural lakes in the country, and with almost 912 square miles of stunning countryside on offer, it’s no wonder it storms in as the UK’s most popular place for a walk with your dog. The New Forest offers up one of the largest remaining tracts of unenclosed pasture land, heathland and forest in Southern England. Awash with wild ponies, deer and a cacophony of beautiful trees, it’s an incredible place to leisurely explore with your dog. The New Forest is also steeped in history – it was proclaimed a royal forest by William The Conqueror and featured in the Domesday Book. 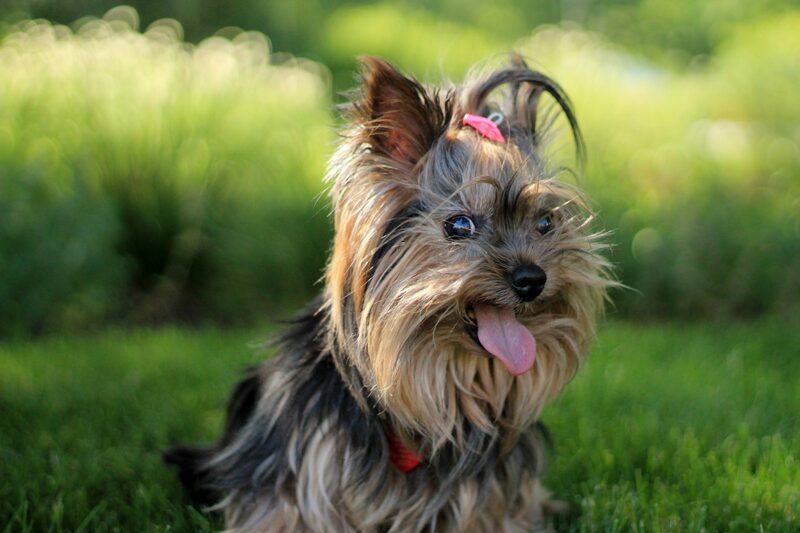 Nowadays, it provides the perfect escape for nature and animal lovers. 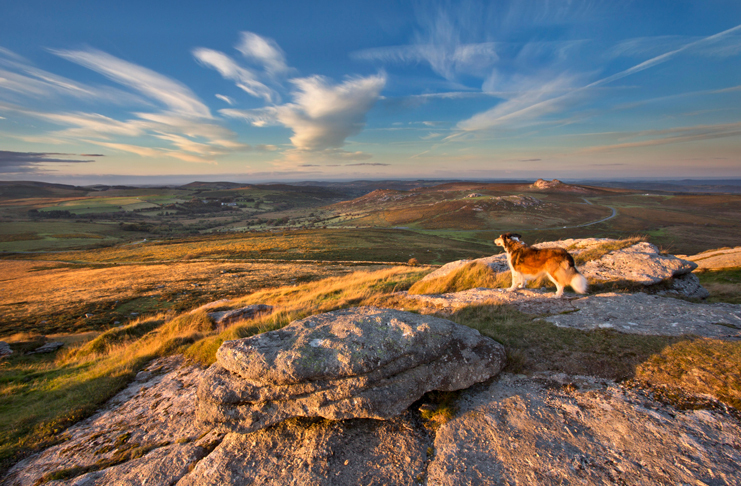 Roughly the same size of London, or 20,000 football pitches, Dartmoor is a moor in Southern Devon and is well known for its tors (hills topped with outcrops of bedrock). 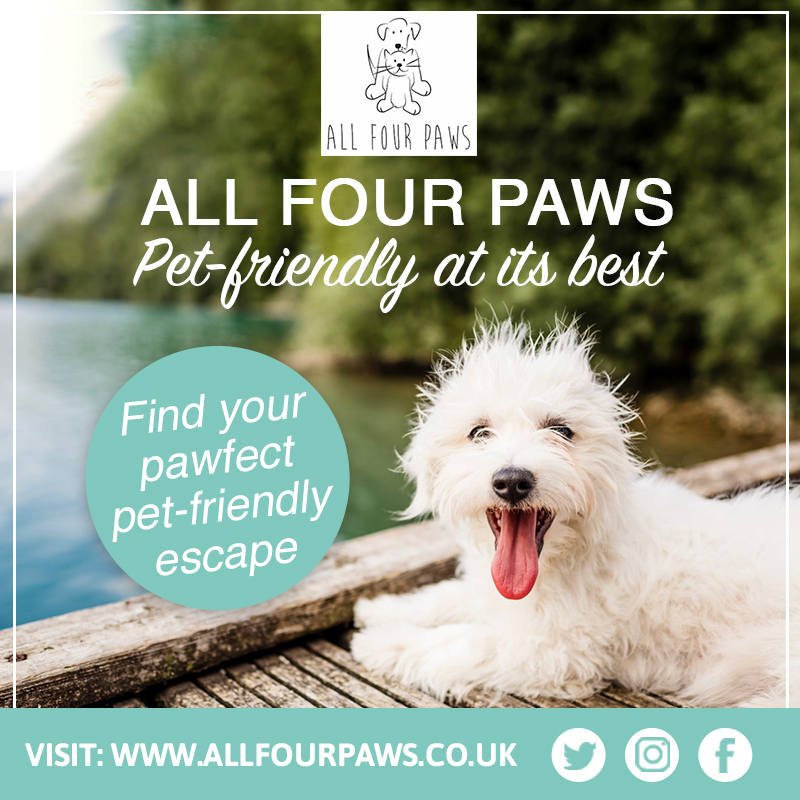 It’s a stunning national park with an abundance of rivers, wide expanses and incredible vistas, and it makes a wonderful setting for a walk with your dog. 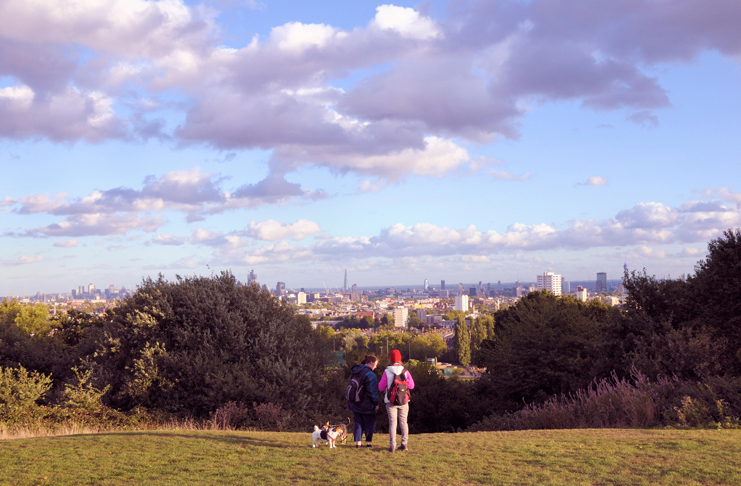 Surprisingly, this popular dog walk is just six km from Trafalgar Square – the heath is one of the highest points in London, and it’s a beautiful place to escape to. 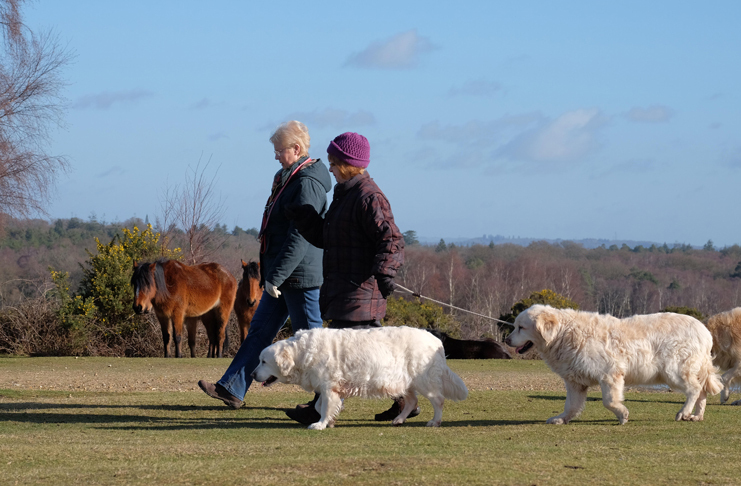 It packs in spectacular views, beautiful ponds, ancient woodlands, open-air public swimming pools and rambling paths to leisurely explore, and it’s understandably very popular with dog walkers. The South Downs are an impressive expanse of chalk hills that stretch across the south-eastern coastal counties of England. 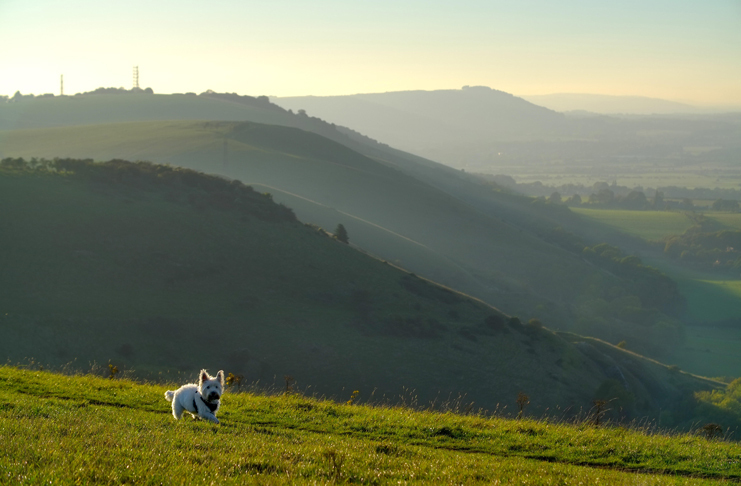 On the doorstep of Brighton, the South Downs National Park’s landscapes are best known for rolling hills and bustling market towns, but it wasn’t until 2011 that the South Downs officially became a national park, making it England’s newest national park. Another London park to make the list – Wimbledon Common often feels a world away from the busy metropolis of inner London, and yet it’s less than seven miles away from Victoria. 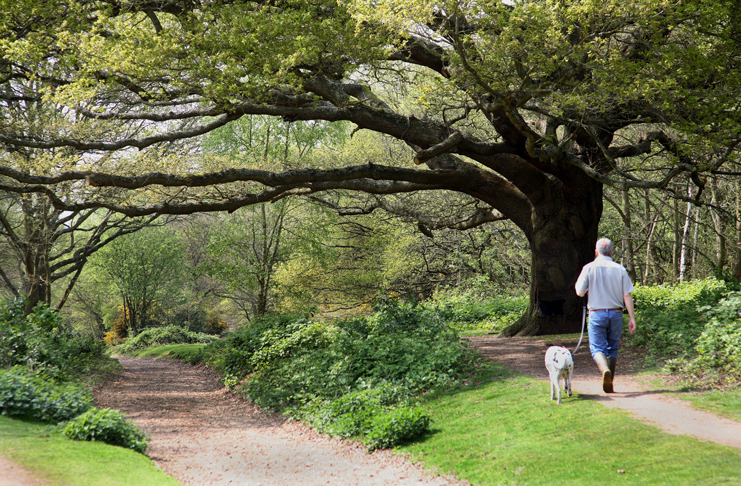 A welcome haven offering calm and tranquillity, Wimbledon Common is made up of a mosaic of woodland, scrubland, heathland and grassed areas, as well as playing fields, a golf course and a host of ponds. 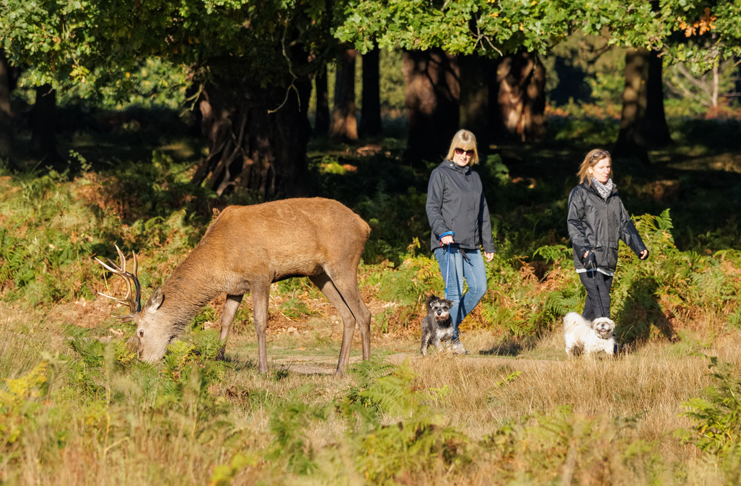 Richmond Park is the largest royal park in London and is famous for its impressive herds of deer. 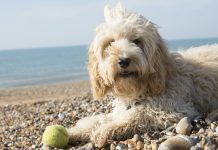 It’s a beautiful park to explore with your dog and its landscapes have apparently inspired a range of famous artists and have featured in several films and TV series. From the highest point, visitors are treated to an uninterrupted view of St. Paul’s and lower down you can meander through a landscape of hills, woodlands and grasslands set amongst ancient trees and a host of wildlife. The national park of Snowdonia is a mountainous region that contains the highest peaks in the UK outside of Scotland. Famously the home of Snowdon – the highest mountain in Wales, Snowdonia was established as the third national park in Britain in 1951. The park has 2,380 km of public footpaths, and in addition to the incredible mountains on offer, Snowdonia also offers up a breath-taking coastline, beautiful forests and stunning lakes. 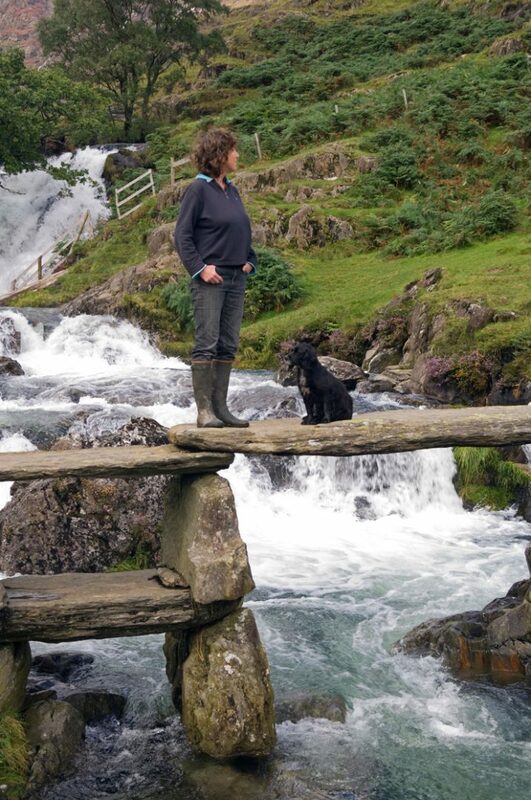 All in all, a magical place to explore with a pooch. 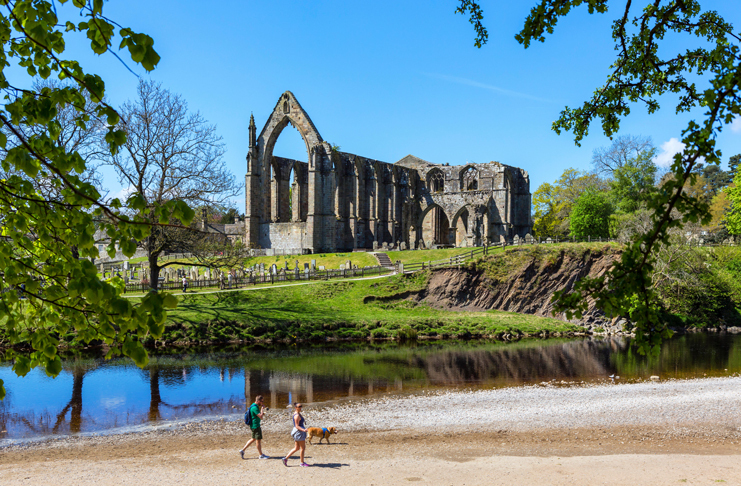 Just 50 miles from Manchester, the Yorkshire Dales are incredibly popular with walkers looking for spectacular vistas, quaint chocolate box stone cottages, energising waterfalls, expansive rolling hills and moorland, and a labyrinth of incredible caves. The Yorkshire Dales is a wonderful place to spend a weekend afternoon. In at number 10 is the Brecon Beacons – another beautiful collection of mountains and moorland that encompass castles, waterfalls and top-notch countryside to marvel at and explore. Not only is the Brecon Beacons a national park, it’s also an International Dark Sky Reserve and Blaenavon is also a UNESCO World Heritage Site. 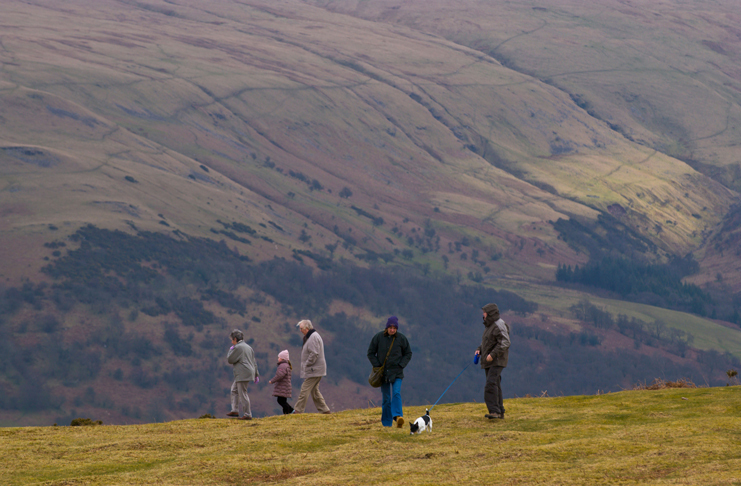 Offering masses to visitors and walkers, it’s clear to see why this rounds off the top 10 most popular dog walks in the UK.